By now, you already know natural stone is durable, abrasion-resistant and perfect for indoor and outdoor uses. 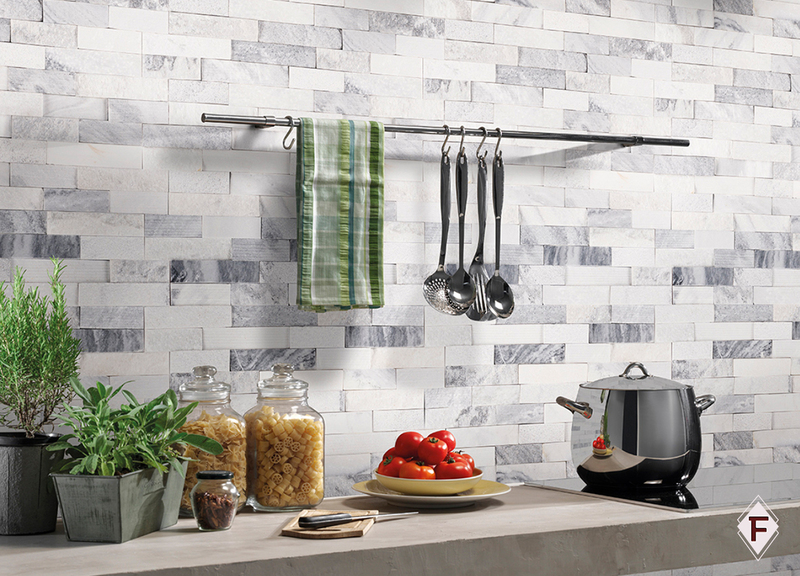 Natural stone tiling is a newer and timeless trend hitting homes right now. Natural stone tiles can give your home an improved look while increasing the value of your home. Many don’t need to be reminded of marble’s glorious reputation. Whether polished or honed, the material adds a dramatic appeal to any project. When paired thoughtfully, marbal can deliver countless amounts of visual intrigue. You want the hub of your home to look great, be durable and easy to clean. A variety of materials can be used in kitchens. Some popular interior design ideas include ceramic or laminate wood floors. However, natural stones like marble can provide unique beauty, durability, and resistant to damages from spills and heat. Basements tend to be thought of as dark and dreary. Adding some white or cream marble tiles will brighten your basement and help it appear larger. Putting marble in a laundry room can also improve its aesthetic. Made from a hard, sedimentary stone, the variance in limestone can be vast. Some variants of limestone feature visible marbling while others feature bold colors like blue limestone. Limestone tiles are firm and durable as they have a tendency to bear all kinds of temperatures. Limestone tiles are a natural stone with no chemical additive. It is advised you seal the the tiles at the time of the installation. By doing so, you will increase the age of the tiles and give them a glossy look. The sealant is a transparent solution that will not be disturbing to your tiles’ color or texture. There’s a reason granite slabs are popular in kitchens. The mineral is heat and bacteria-resistant making it ideal for dining spaces. Granite is typically found in white, black or pink variations. Sealed granite is flat and non-porous making it ideal for countertops. Granite tiles can also shine in your patio. A drab concrete slab isn’t always the most inviting. Granite tiles can compliment a garden, unique landscaping or large trees. In your kitchen, there are a many advantages to granite countertops. They are strong, solid, and they don’t mind getting wet. They can be tinted in nearly any color, and when they are sealed, they are essentially impervious to damage. Granite tile is small and modular and can be adapted to nearly any surface. For larger bathrooms and upscale homes, granite slabs can be purchased to compliment the tile. At Firenze International, we offer a wide selection of beautiful and durable natural stone! We also have an experienced board of advisers with over 100 years of experience in the natural stone industry. If you have clients in search of natural stone or looking to start a kitchen or home renovation project this summer, contact us and we would love to help you and your clients find the natural stone countertops, backsplashes, and hardscaping of their dreams!